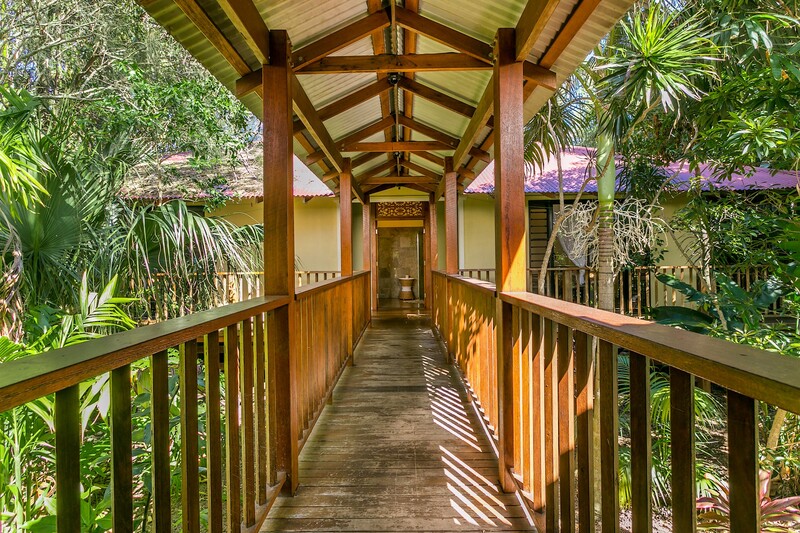 Boasting covered wooden walkways through exotic tropical greenery, Casa Dan is a delightful zen-like retreat ideal for families or groups of up to 8 guests. 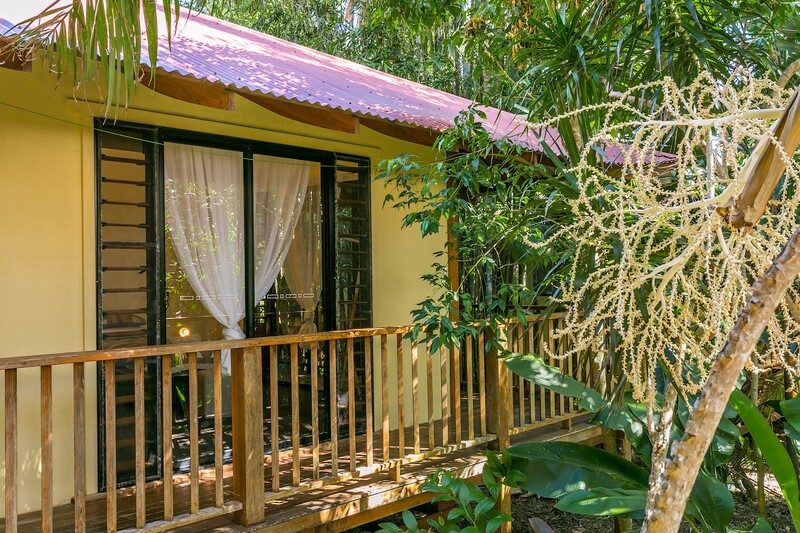 Casa Dan offers 4 bedrooms and 3 bathrooms in a pavilion-style layout set amidst lush private gardens which create a sense of calm tranquillity. 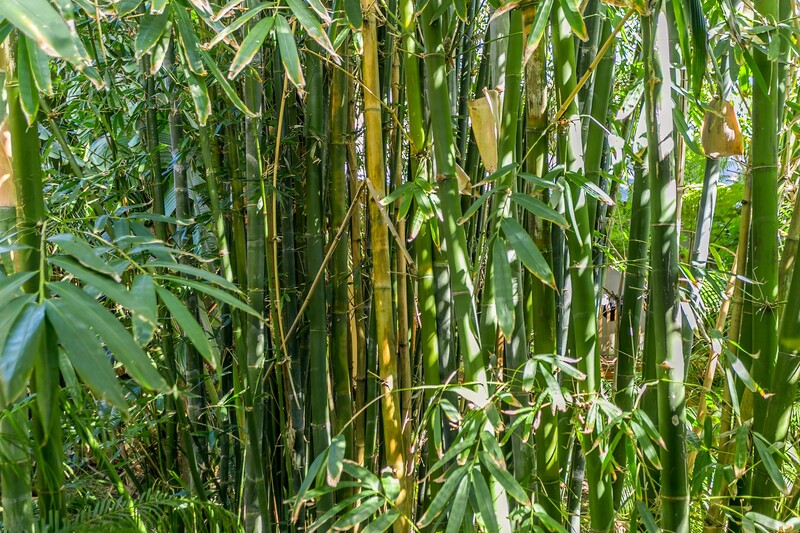 Tropical greenery and bamboo create a private tropical enclave best viewed from the delightful wooden walkways. 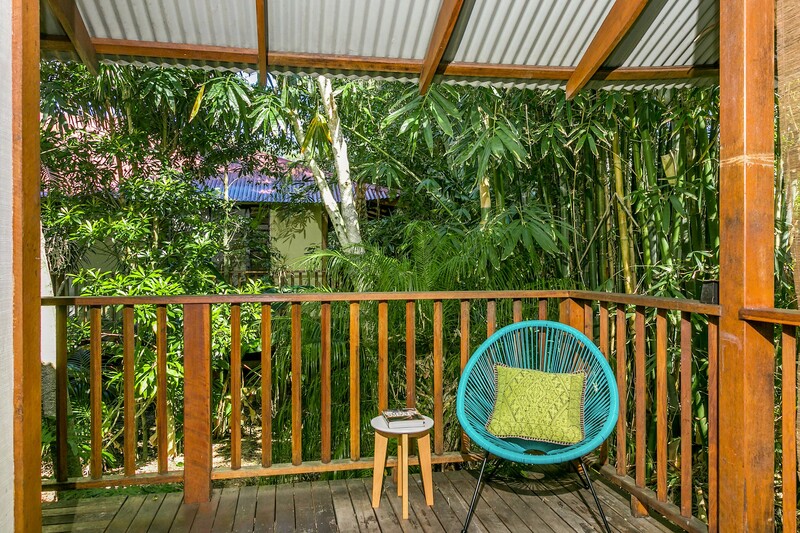 Well located, this peaceful eco-retreat is 500m from Belongil Beach and a 7 minute stroll from local shops and vibrant cafés which the area is known for. With off-street parking for 3 vehicles, you can park the car and explore the locality on foot. 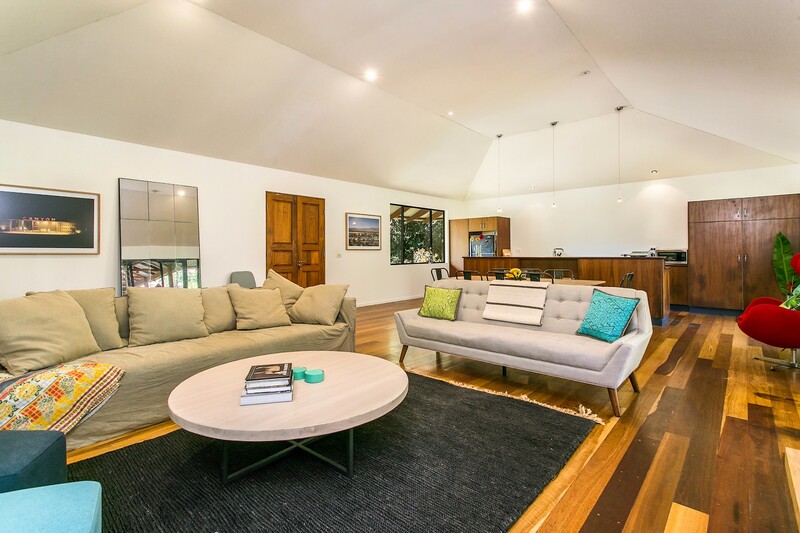 Step inside the open-plan living/dining room with its galley-style kitchen and appreciate the polished wooden floors, lofty ceiling and lush garden views through large windows and patio doors. 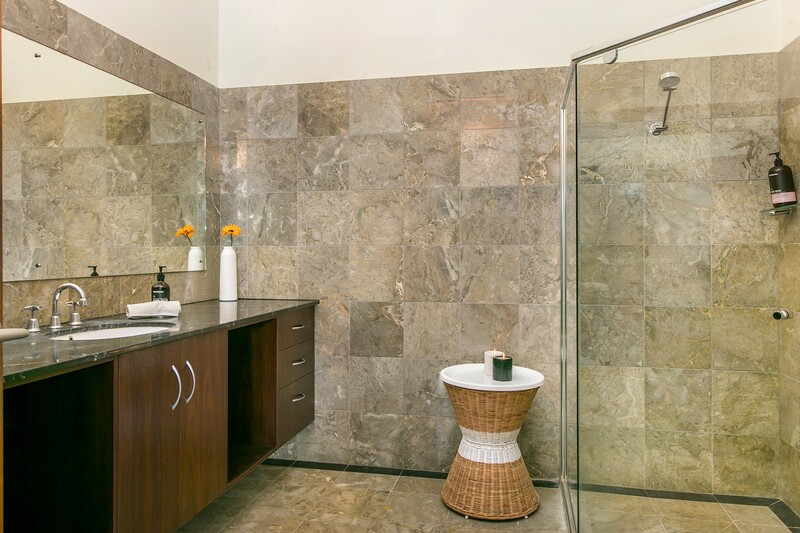 The generous master bathroom with its walk-around glass shower, cathedral ceiling and platform spa bath is the place to de-stress with a bubbly soak and a leisurely glass of wine. 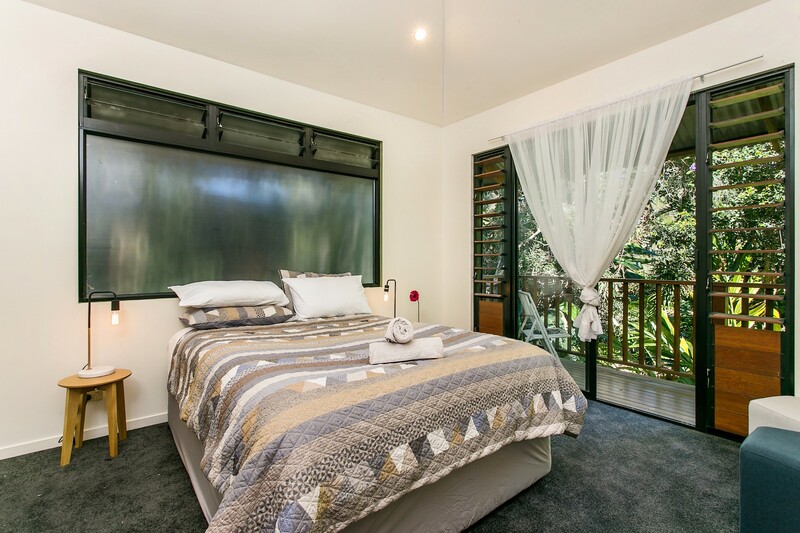 You’ll stay cool in summer with high ceilings, cross-room airflow and pedestal fans, and remain cosy in winter with oil heaters in each room. Extended groups can also look at booking Buckets and Spades which also sleeps 8 and is located next door. 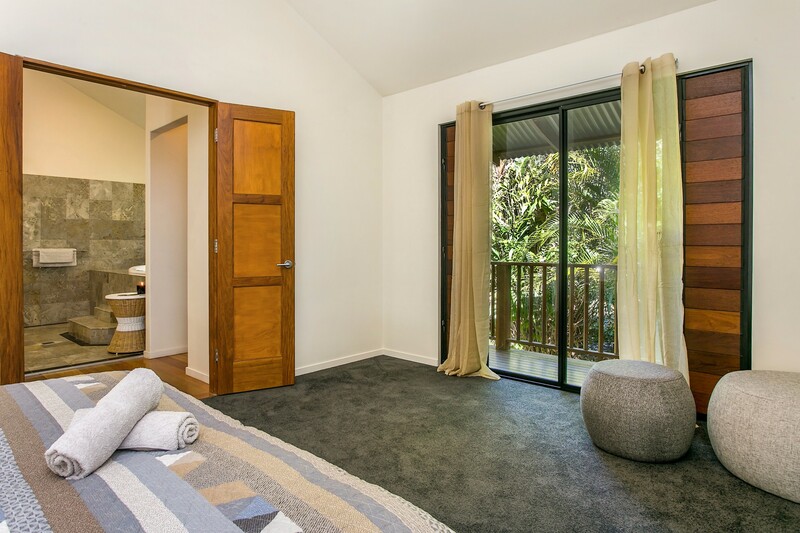 The welcoming living area is spacious, bright and airy with large windows and sliding doors opening onto the wraparound verandah which offers lush garden views. 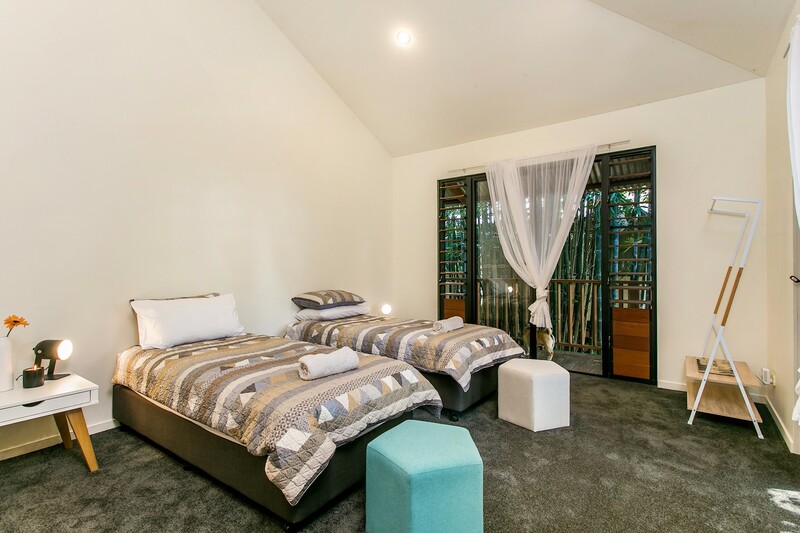 Curl up on one of two couches and enjoy a book, relax to music from the iPod docking station or watch your favourite show on the flat screen TV under the ceiling fans. The polished wooden flooring flows into the adjoining dining area, the perfect space for lingering over dinner with up to 8 guests. 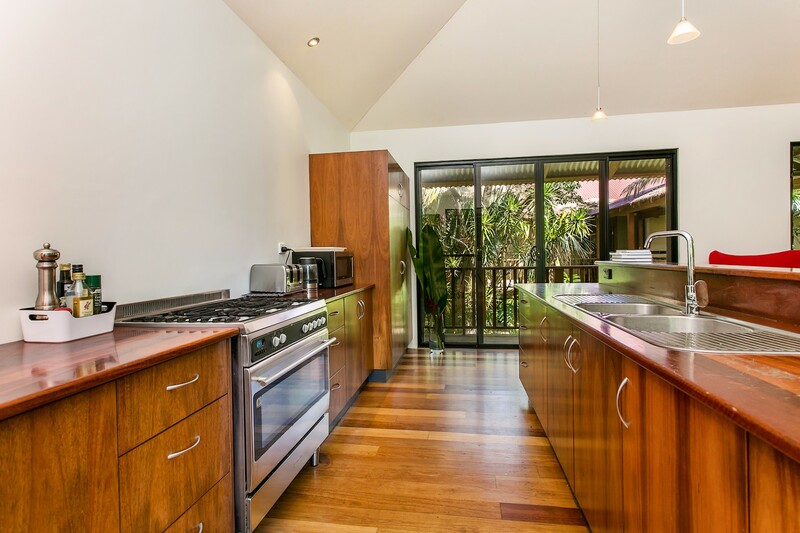 Cooking is a delight in the galley-style kitchen featuring a large gas cooktop, oven and breakfast bar with stools. 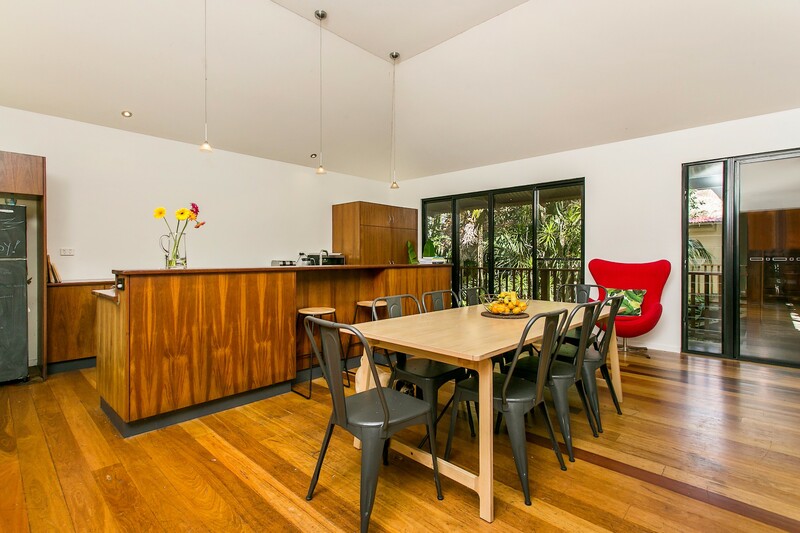 Ample bench space ensures guests can prepare tempting meals and snacks fuss-free. 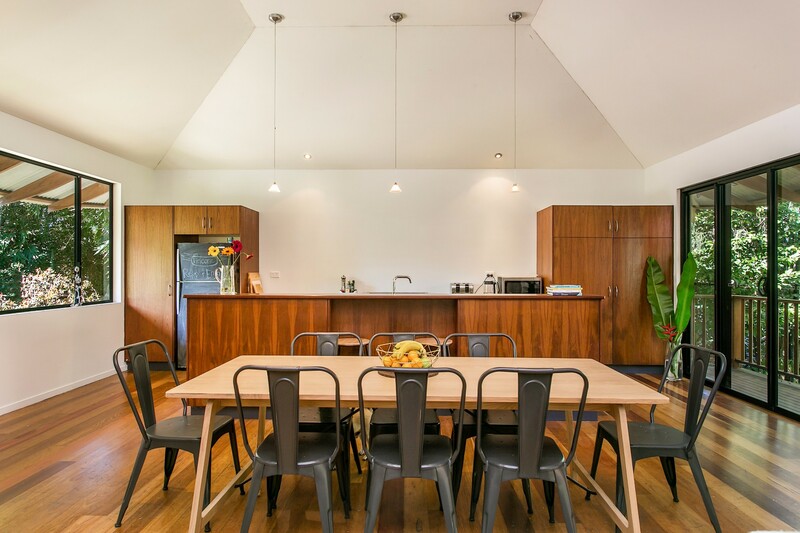 The well-equipped kitchen features timber cabinets and flooring in keeping with the natural elements of the home and garden. 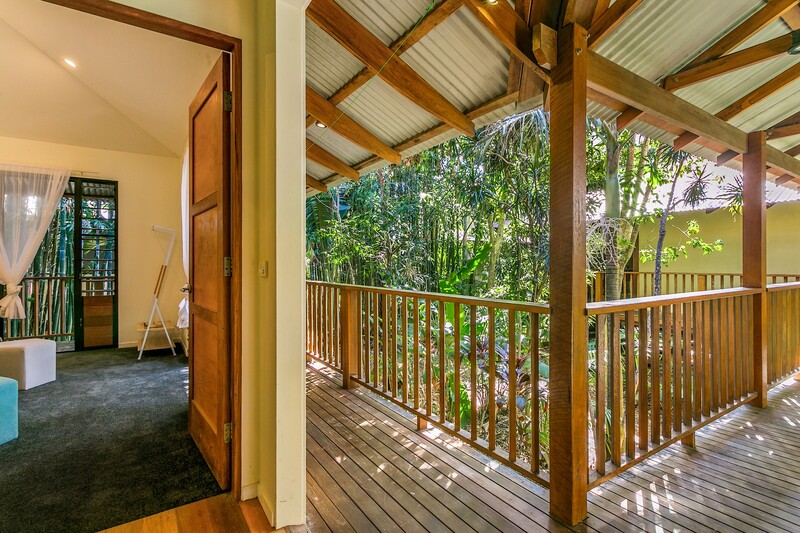 Wake up to green garden views! 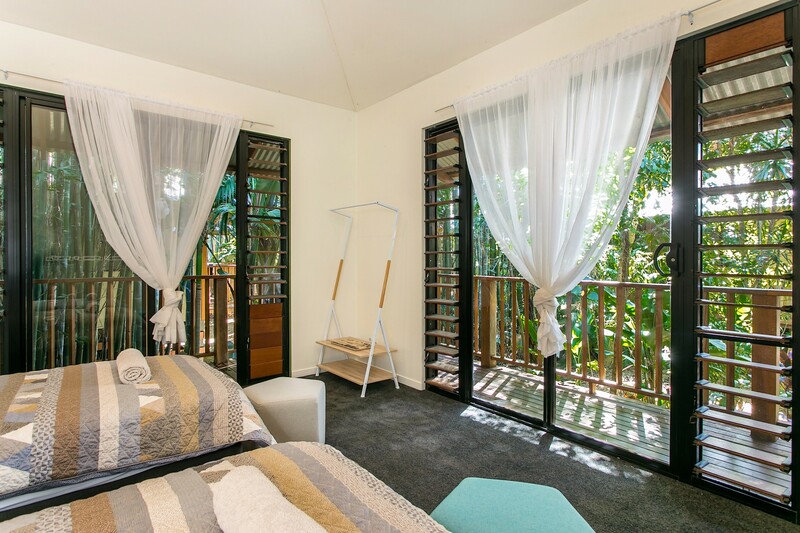 All 4 spacious bedrooms have full-height patio doors opening onto the wraparound verandahs of the bedroom pavilion, as well as ceiling fans. 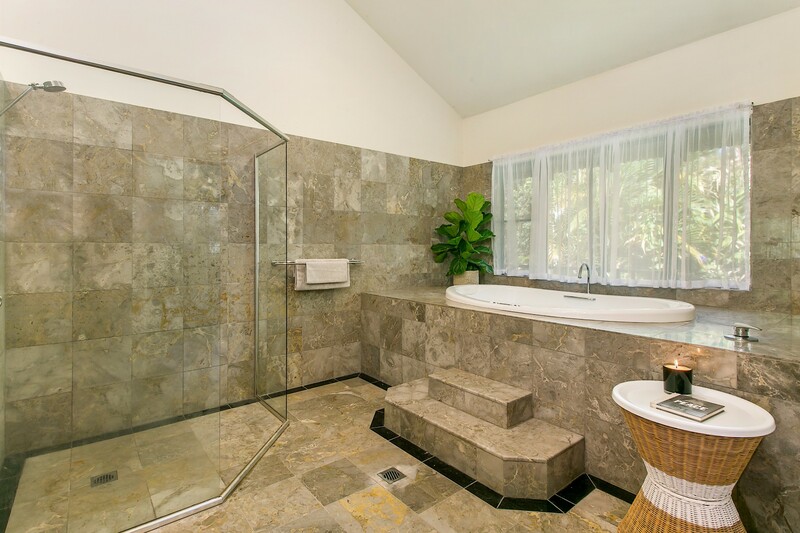 The master bedroom features a walk through wardrobe opening into an oversized ensuite bathroom complete with double shower and elevated spa bathtub for indulgent soaks. 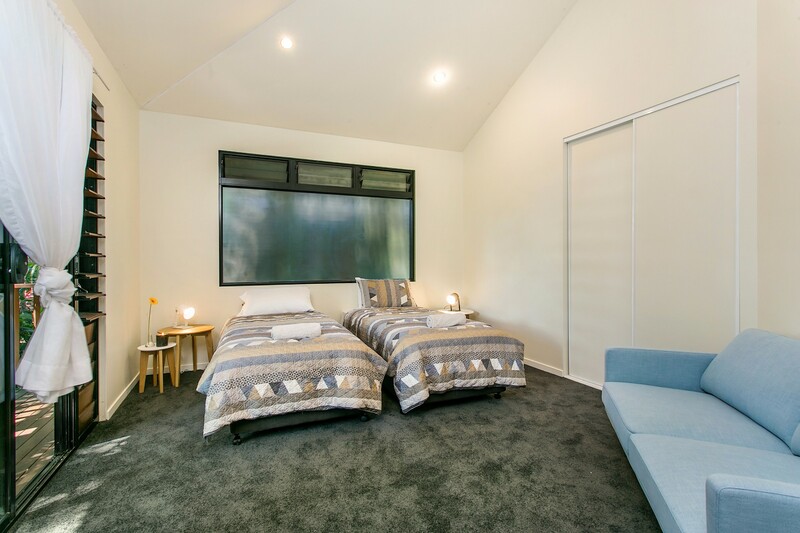 The other bedrooms share 2 additional tiled bathrooms, including one which doubles as a second ensuite which has a laundry area. 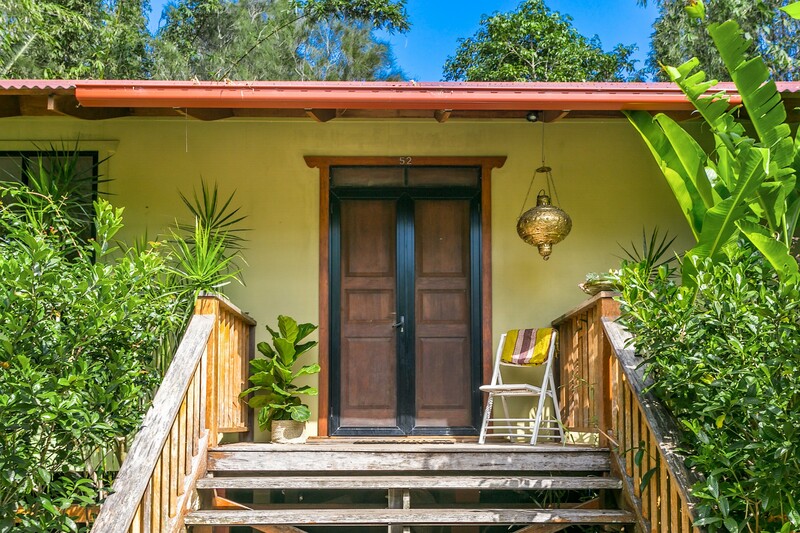 Tropical gardens surrounding Casa Dan create a sense of retreat and privacy, transporting guests to a peaceful Oriental paradise of tropical bamboo and lush vegetation. 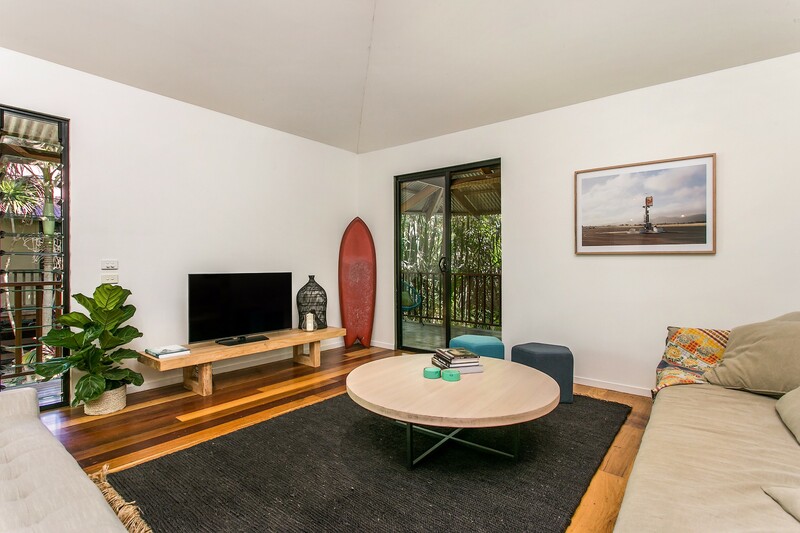 This single-storey holiday rental in Byron Bay is a short stroll through to Shirley Street and on into town or across to Belongil Beach. Alternatively, grab a bike and ride into town along the bike track framed by the reserve behind the property. Outdoors, the home includes a BBQ and off-street parking for 3 cars. 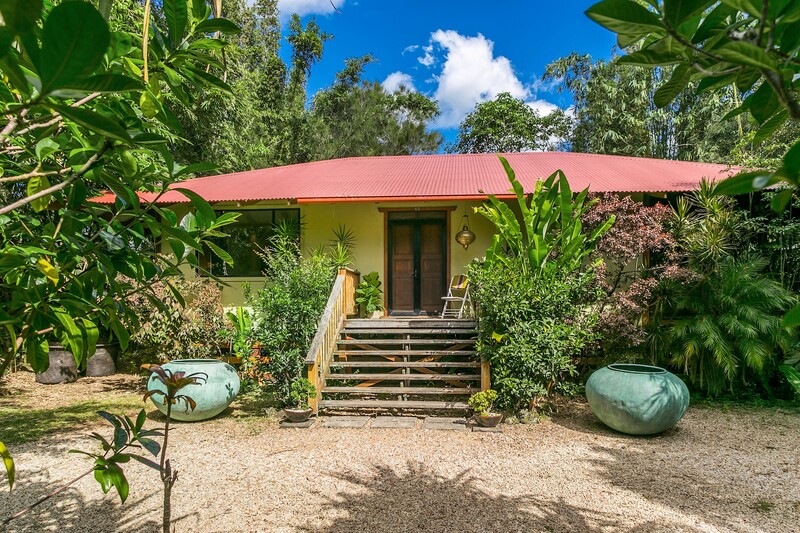 Casa Dan is enviably located on a Shirley Lane, a quiet laneway in Byron Bay that backs onto a reserve which runs parallel to Shirley Street. It is a pleasant 5-minute stroll to Belongil Beach and a 7-minute walk to town. 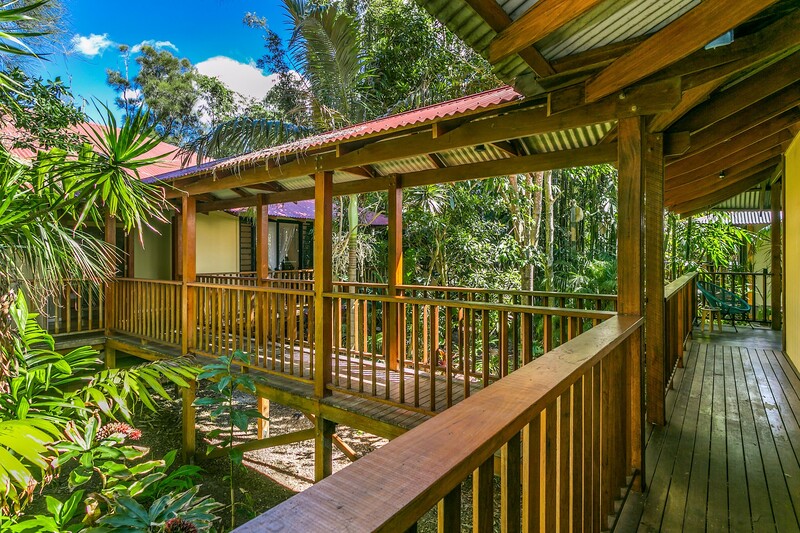 Enjoy local favourites at Belongil including Belongil Bistro for breakfast and lunch, and the Treehouse for a family friendly atmosphere into the evening with a cheeky cocktail, wood fired pizzas and live music on weekends. Further afield, Gold Coast attractions such as Southport and Surfers Paradise are 66km to the north and Ballina is 34km south. The host was lovely and was so kind to pick us up and take us to the house. The house was also so nice, felt like I was overseas! We were so comfy and felt far away from the busyness of Byron but so close as well. Great holiday. Thanks! !